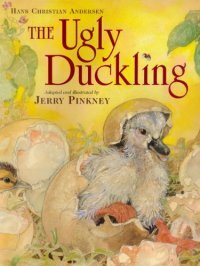 For over one hundred years The Ugly Duckling has been a childhood favorite, and Jerry Pinkney's spectacular adaptation brings it triumphantly to new generations of readers. 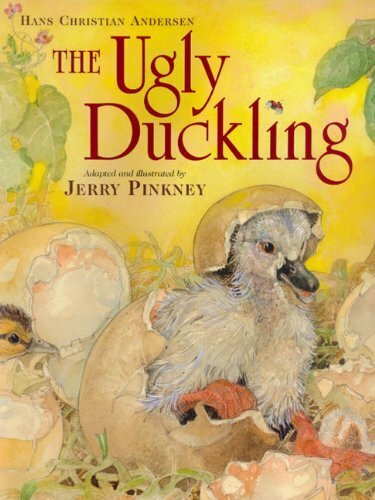 With keen emotion and fresh vision, the acclaimed artist captures the essence of the tale's timeless appeal: The journey of the awkward little bird—marching bravely through hecklers, hunters, and cruel seasons—is an unforgettable survival story; this blooming into a graceful swan is a reminder of the patience often necessary to discover true happiness. Splendid watercolors set in the lush countryside bring the drama to life in this hardcover picture book.